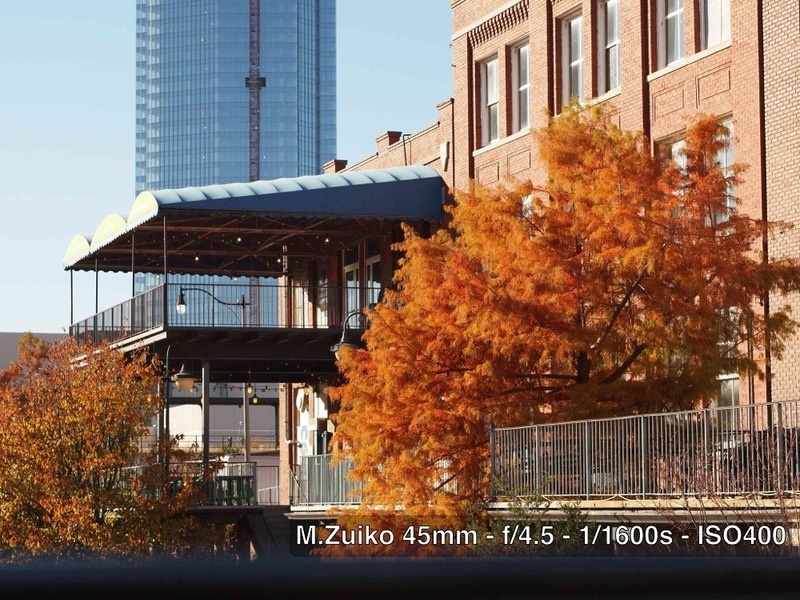 I recently put up a post reviewing my new Olympus E-P3 and briefly discussed some of the lenses I use regularly including the Olympus M. Zuiko 45mm f/1.8. I wanted to go a bit more in depth regarding this particular lens now that I’ve had a chance to really try it out and about. I had holiday plans to go visit my fiancé’s family in Oklahoma for thanksgiving this year and thought that would be a perfect opportunity to do some photography around town and capture some of the mid-west charm. I haven’t done a post quite like this before so feel free to comment and let me know what you think, how I can improve such posts. Also, if you have any requests, I’ll be updating this post with more photos throughout the week, so feel free to request specific tests. Onto the good stuff. The shiny little power-house from Olympus looks great when mounted to my silver E-P3. It’s metal finish is just that, a thin layer of metal to give the lens a nice finish. It’s doesn’t mean the lens is made of metal. It’s solid enough, but won’t hold up like a lens constructed primarily of metal. 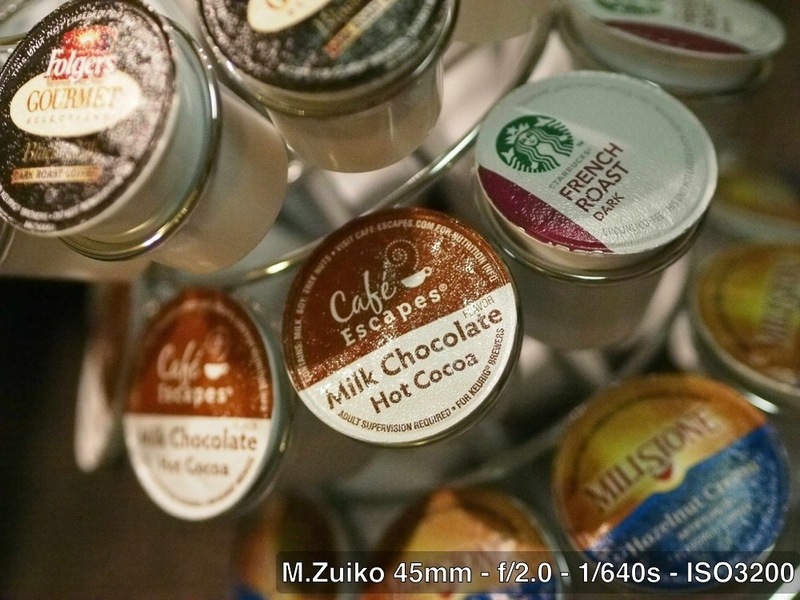 The focus is smooth and damped for fine precise manual focus. There are no focus stops as it is a electronically controlled lens and doesn’t actually focus unless it’s attached to a powered camera. 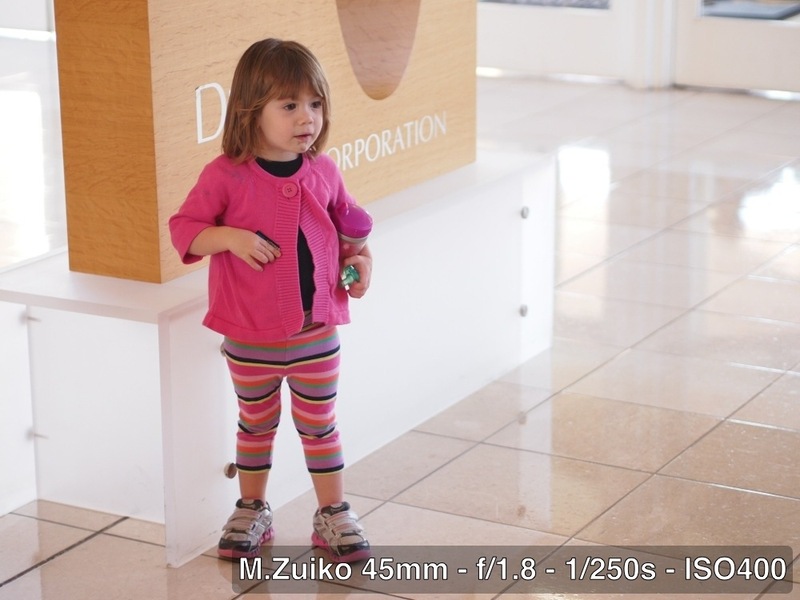 I was testing the lens with my E-P3 which provided blazing fast auto-focus. 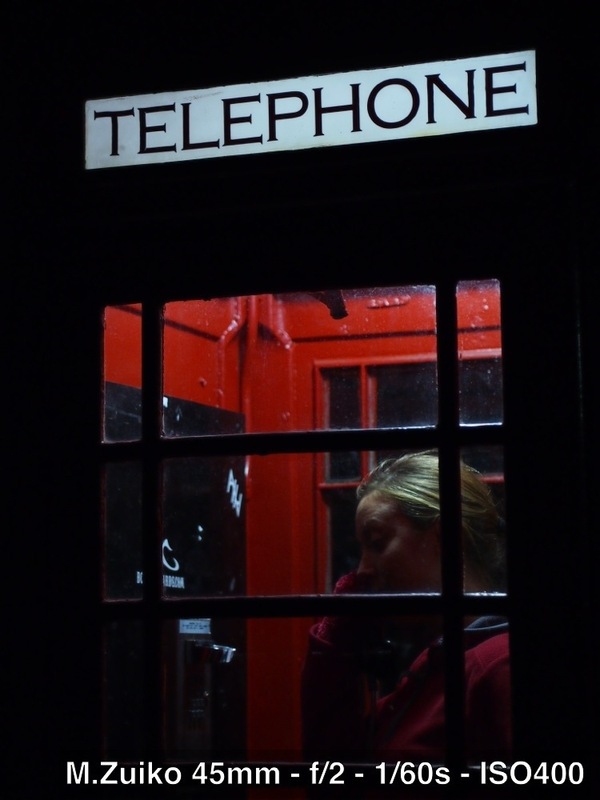 The auto-focus performs very well even in low-light scenarios. 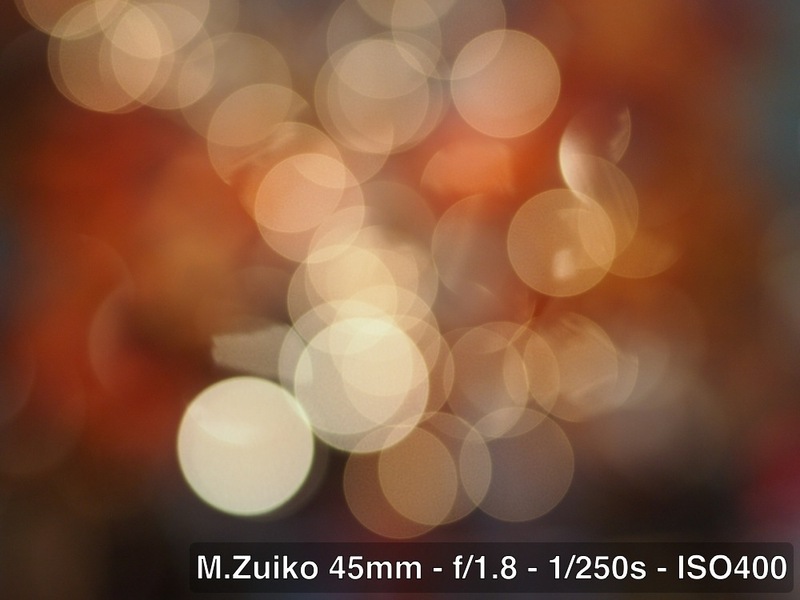 As with most Micro 4/3 lenses, focusing is silent. Manual focus is variable in that the faster you rotate the barrel, the more drastic the movement and the more precise you move it, the slower and more accurate you can adjust the focus. Chromatic aberrations are present but well controlled. You can see some obvious purple fringing in some of the samples where I intentionally over-exposed the background on a dimmer foreground object. The fringing is a bit more controlled at mid-range apertures but increase a bit more at the smallest apertures. Sharpness is very good in the center with almost no falloff out to the edges. Same goes for light falloff and distortion, all well controlled. There is a minor flare when shooting wide open at f/1.8. 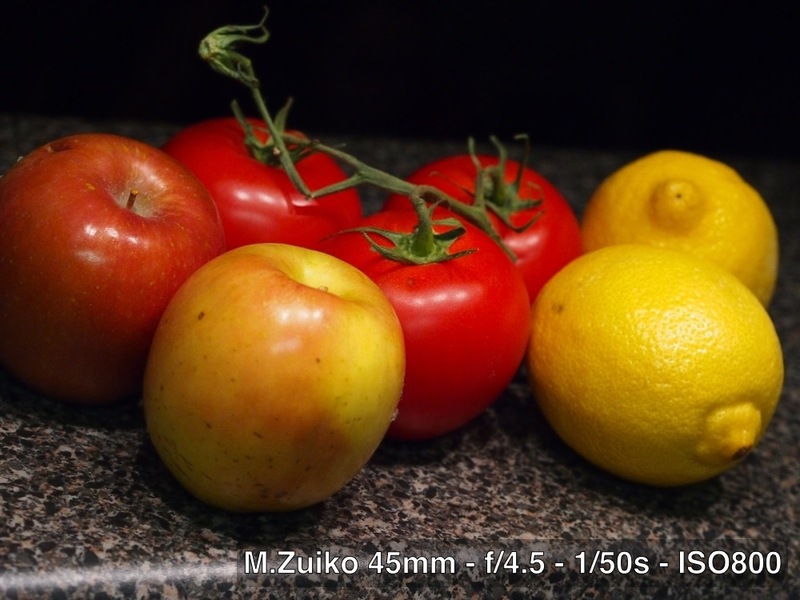 I found the focal length to be a bit tight on the Micro 4/3 format. 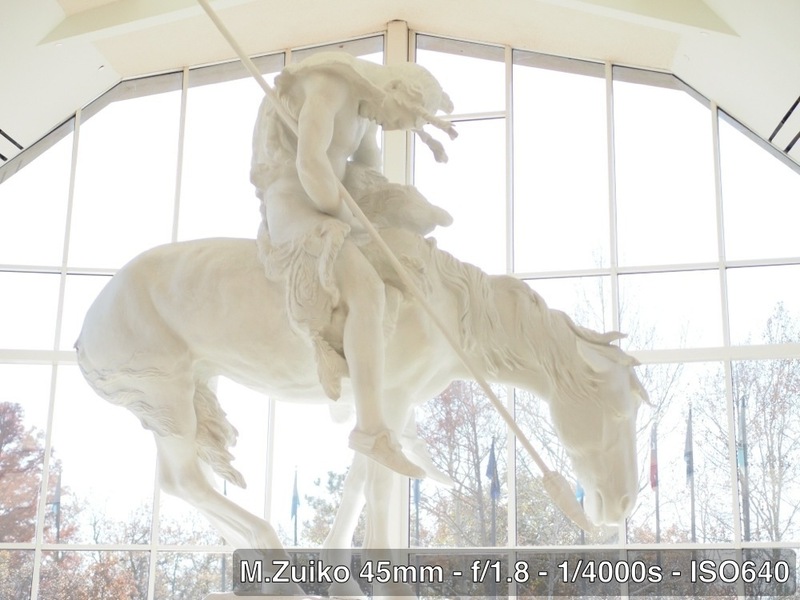 With a 2x crop factor, the 45mm frame is equivalent to that of a 90mm on a full frame sensor. It’s a great field of view for portraits and mid-tele shooting. A bit tight to be used as an everywhere lens. I reserve my 20mm Panasonic for such regular shooting. 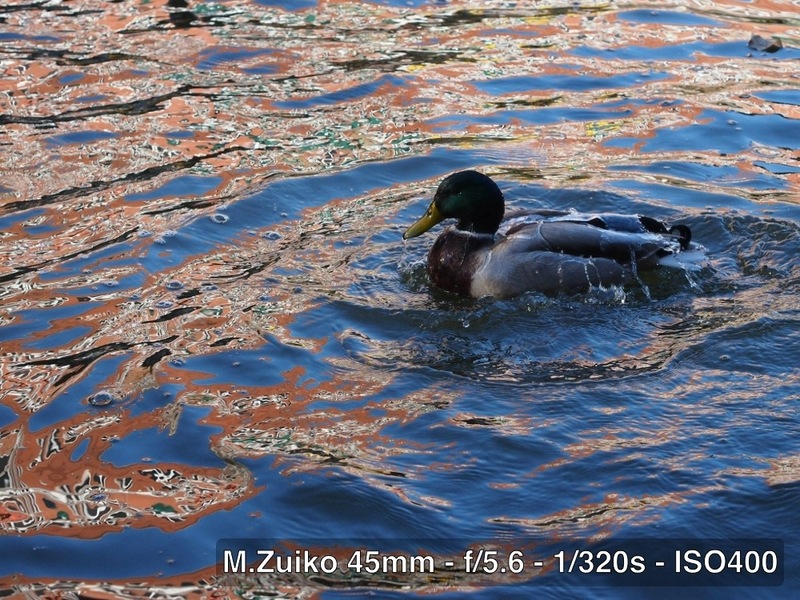 I found the focal length to be a bit troublesome. I always seemed to want it to be a tad wider or a lot longer. I bit of a specialty lens of sorts but always fun to use, nonetheless. I used this lens more than the other lenses in my bag this weekend, but that’s mostly because I needed sample shots for this article. It’s a great lens and I think it will get plenty of use in my semi-pro kit, but it won’t take the place of my 20mm f/1.7. Previous Previous post: Thanks, Bokeh Babes!